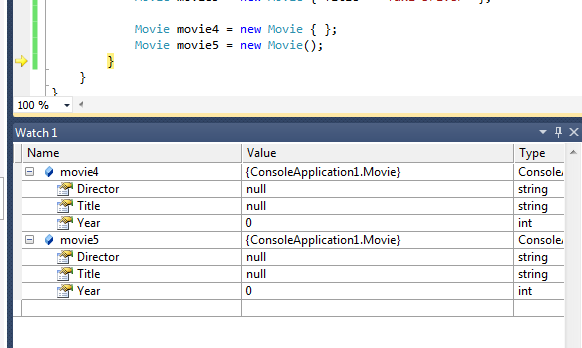 Using an object initializer, you can initialize an object by specifying values for its public properties, as long as the object’s type defines a parameterless constructor. Using this syntax, you can initialize any subset of the objects properties that you like. 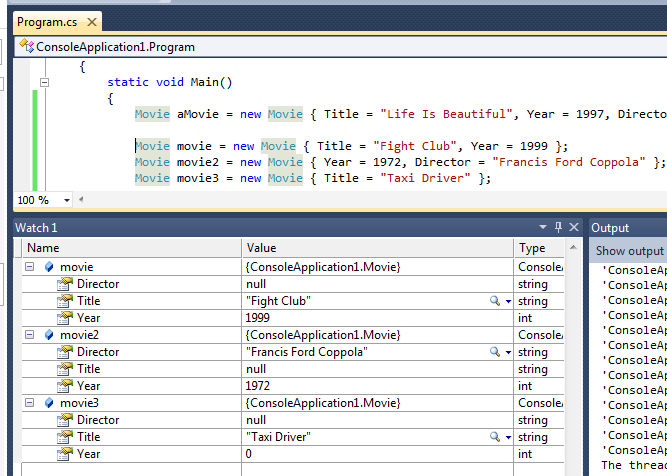 Any properties not initialized will take on default values. You could even use an empty object initializer, which would be equivalent to invoking the parameterless constructor directly.